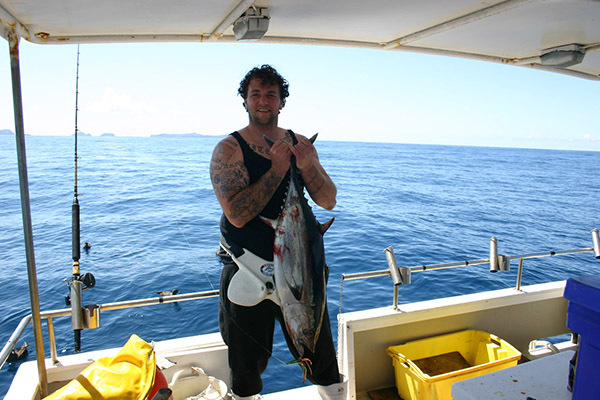 The seas around the Bay of Plenty are sure to have plenty of great game fishes. 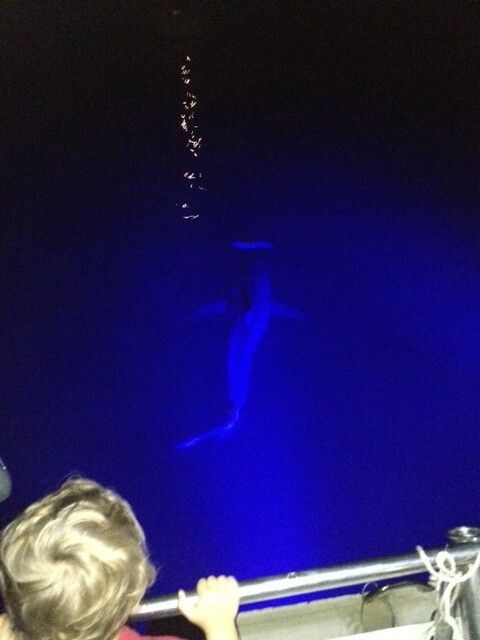 Marlins, tunas, swordfish, and even sharks! 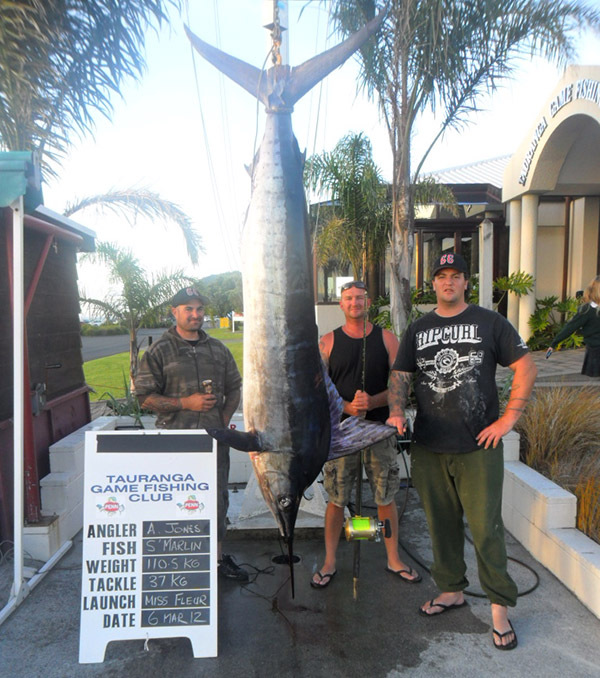 Tauranga Fishing Charters organises game fishing trips that will make you realise that the bigger things in store for you can only be found once you set your sails and navigate the waters. 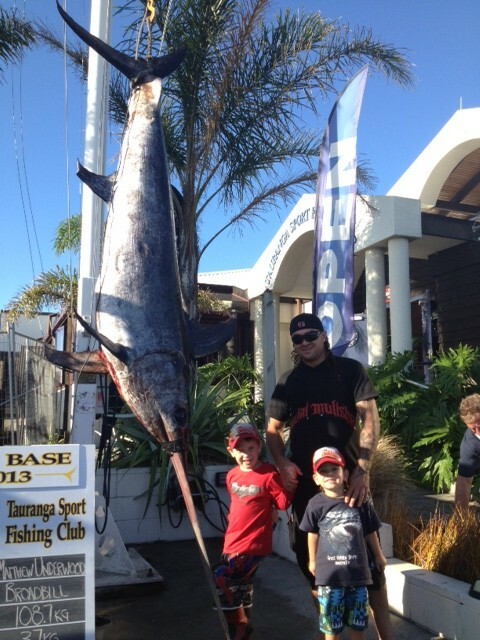 Here at Tauranga Fishing Charters, it’s one of our greatest delights to see our clients excited with their first encounter with big game fishes. We’ll take care of all the things you’ll need, whether you want to see how these hulking sea creatures are captured, be part of the action, or simply satisfy your palate. This can be some of the most exciting fishing you’ll ever do. 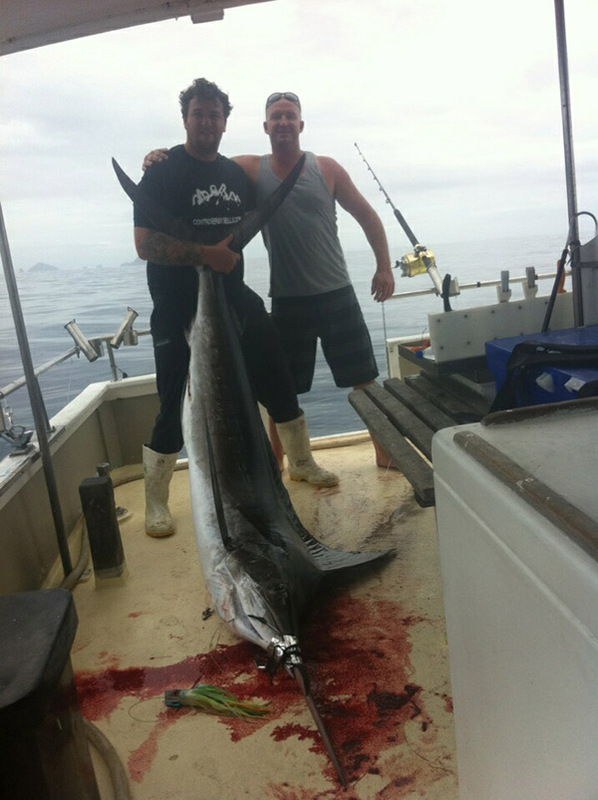 We fish from January through March for Striped Marlin, Blue Marlin, Black Marlin, Tuna & Swordfish. 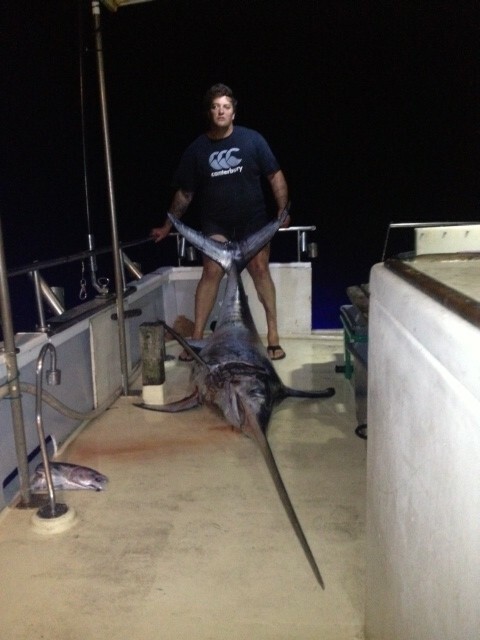 While January, February and March are the best months for big game fishing, Swordfish can be caught through to August. We catch these fish on top of the range two speed Shimano Tiagra 80w reels and Shimano Tiagra rods using 37kg line with top range lures and live baits. Areas fished can include the Alderman Islands area, Mayor Island, Penguin shoals, Penguin rise, The Rangiteras and the back of Plate Island and everywhere in between. Leaving in the evening and staying overnight at Mayor Island ready for a full days fishing from $2000 (accommodation at Mayor Island not included in price). Get in touch with our customer service division if you want to get your ‘game’ on. We assure you that the trip will be tailor-made for you and your family and friends.